There has been an ornamental garden here since the mid 18th century. Most of what can be seen today originates from 1970’s and is the work of the late Mr J Douglas Hutchison. The stream garden was planned and constructed by Ian Lawrie of Dundee in 1928 along the course of the Bolfracks Burn. It was restored and replanted from 1983-85. The gardens at Bolfracks are renowned for their impressive collections of rare and unusual plants, including a superb collection of rhododendrons, azaleas, acers, old fashioned roses and an array of herbaceous perennials. 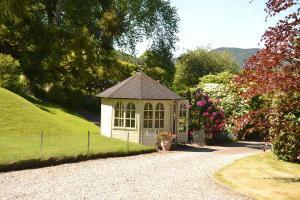 The garden faces north with fabulous views over the Tay valley. This plantman’s garden has many interesting features from springtime through to autumn. 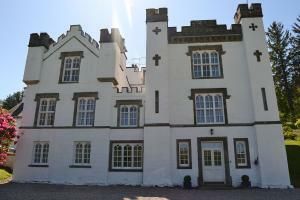 In recent years, the garden has undergone major renovations. 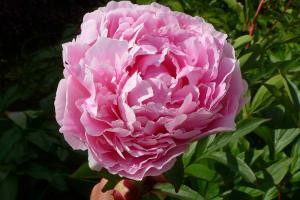 There are new Peony Beds where there was a very long herbaceous border. There is a new short and wide herbaceous border at the East End of the lawn. 2 huge old beds have been removed and replaced with 4 smaller manageable beds with new planting. Throughout the rest of the garden there have been special plants added to fill gaps and increase interest for the visitor. 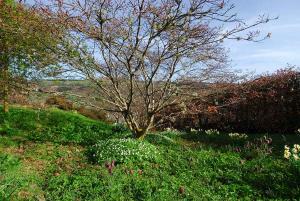 For aspiring gardeners with a difficult site, Bolfracks is inspirational as it is steep and faces north. Open from 1st of April through to 31st October. Visitors are welcome to bring a picnic to enjoy at one of the many tranquil spots in the garden. 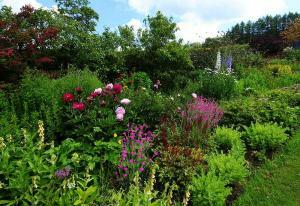 Bolfracks Garden is a member of Scotland’s Gardens Scheme. 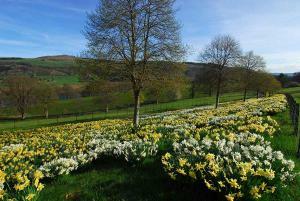 Bolfracks Garden has been awarded the 3 Star Garden Grading Award by Visit Scotland.